Did you know that nearly 200,000 Irish men (and some women) served in this war – and tens of thousands of them were killed in action? THE AMERICAN CIVIL War was a defining moment in American history – and in many ways, it was an important time in Irish history too. But despite the fact that nearly 200,000 Irish men (and some women) served in the war, and tens of thousands of them were killed, many people are not aware of Ireland’s involvement in this event. Archaeologist Damian Shiels’s passion for American history, and deep knowledge of the American Civil War, has led him to question why the State has not recognised the Irish participants. He writes the Irish American Civil War blog and spoke to TheJournal.ie about Ireland’s role in the war. The war ran from 1861 to 1865, so the 150th anniversary of its second year is currently being marked. It was fought over the secession of the Confederate States, after 11 states (which were slave states) announced their secession from the United States. They formed the Confederate States of America, with the remaining 25 states supporting the Union, or federal government. The Confederates surrendered in 1865, leading to the abolishing of slavery. Of the 1.6million Irish who were in the States in 1860, about 180,000 end up fighting. It had a huge affect on the entire community. But the State hasn’t done anything to mark it – there is no national memorial here or anything like that. In the USA, the house of Patrick Cleburne, one of the most famous confederate commanders in the American Civil War, is a landmark. He was an Anglo-Irish soldier who was born in County Cork and moved to the USA in 1849. During the war, he earned the nickname The Stonewall of the West – he has a city of 60,000 people named after him in Texas, as well as a Cleburne County in both Alabama and Arkansas. “That kind of story is repeated again and again,” said Sheils. I spend a lot of time looking at widows’ pension files. Irish women whose husbands might have been killed during the war. The impact of that war lasted into the early 20th century, because they left and they never came back there seems to be no connection in Ireland with them any more. Whereas people who fought in World War 1, they had direct families. It’s just a terrible pity on both fronts – one in every four people in New York in 1860 was Irish. The first guy killed in the American Civil War was Irish. The second man killed in the civil war was Irish. It is the only war in our history that compares to WW1 in terms of the people involved. Shiels pointed out these people who left Ireland for the US “would have been badly discriminated against” as they were immigrants. 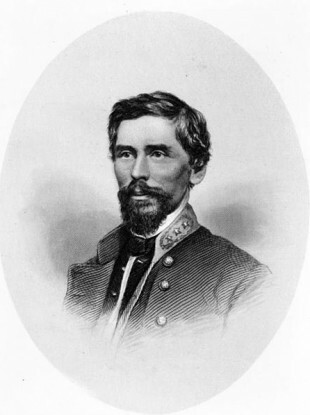 Those who supported the Confederates (who were less in number than those who supported the Union) did not necessarily do so because they all supported slavery, but some, like Cleburne, wanted to fight for the new home that had welcomed them when they emigrated. Then there was the Irish Brigade, which mainly had Irish Americans as members, and which fought in a number of battles. There are two monuments to the Brigade, at Gettysburg and Antietam. The thing that really swung it was when President Abraham Lincoln announced emancipation, freeing slaves. They weren’t interested in fighting to free slaves. Because Lincoln was a Republican and the Republican Party had grown out of a lot of people who were anti-Irish. The Irish all joined the Democratic Party, which had more of an appeal for slave holders. He described the Irish as “the lowest of the low, literally on bottom rung of the ladder in Northern America”. They would be directly competing with emancipated slaves for work, and as distasteful as this may sound to us now, they perceived freed slaves as a “threat”. Joining the army “gave them effectively a stable career” and took them out of the slums or conditions they were living in. They had emigrated from Ireland due to the Famine, arriving with little money and unknown prospects. Men who were badly injured during the war found themselves in hospices, where some stayed for the rest of their lives, said Shiels. It wasn’t just men who fought in the war – women fought as well. On his website, Shiels has examples of such women, who include Jennie Hodgers, who fought under the name Albert DL Cashier in the 95th Illinois Infantry; Mary Sophia Hill, who became known as the Florence Nightingale of the Confederacy and Bridget Diver, who was called Irish Biddy and Michigan Bridget. Ireland was pretty aware of what was going on at the time. There would have been a lot of press about it. There would be people writing back to papers in Ireland. “There is a gigantic body of information that hasn’t been tapped in Ireland before,” said Shiels, whose aim is to explore this history and bring the information to people who might previously have had no knowledge of Ireland’s involvement in the American Civil War. His hope is that the lives of the Irish who fought in this war will be recognised by the State. With the 150th anniversary of Gettysburg coming up in 2013, Shiels believes the time is ripe for that to happen. Email “Hidden History: The Irish and the American Civil War ”. Feedback on “Hidden History: The Irish and the American Civil War ”.